From Tuesday, October 16, if you buy Destiny 2: Forsaken, you’ll get last year’s two pieces of DLC for free. If you already own Forsaken and those expansions, and you log in before Tuesday, you’ll instead get a bundle of pretty cool cosmetics. This means if you own Destiny 2 but took no interest in last year’s season pass, you only need to buy Forsaken so get in on the fun. And fun, it is: the overwhelming opinion of critics and players is that Forsaken has truly revived Destiny 2 and might even represent a high point for the series overall. And on that note: shameless review plug. 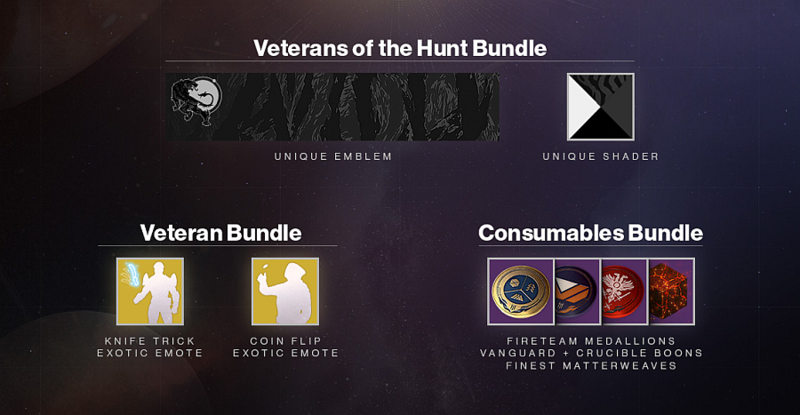 As for those cosmetics, they include a handsome exclusive shader and emblem with another of Bungie’s characteristic tiger themes; two exotic emotes, including Petra’s knife-spin trick; and a bundle of consumables to pop during activities for bonus rewards. However, it’s a bit cheeky to have done this barely a month after Forsaken’s launch: those who pre-ordered, and those who prudently waited for reviews or for the raid to unlock, have handed over a fair amount more (depending on editions) for the year one season pass than those who will benefit from this surprise discount. 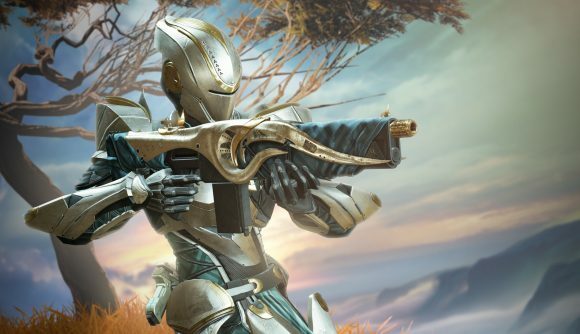 The weekly update previews Destiny 2’s coming Halloween event, the Festival of the Lost. That kicks off on Tuesday, alongside the next Iron Banner week, and will run until November 6. There’s also an excellent featured community movie this week, which I’ll leave here.